Property for Sale in Trichy. Contact Mr. Palaniappan +91 97897 86363. Appreciation Value Plots for Sale in Trichy. Approved Plots for Sale in Trichy at affordable cost. 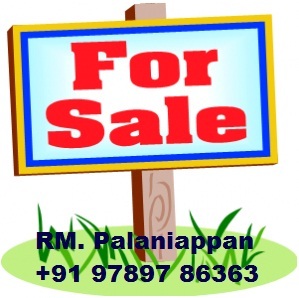 RM Palaniappan (+91 97897 86363) brings the most comprehensive and complete looks for all your property needs, with transparent secure, safe and sound approach. RM Palaniappan (+91 97897 86363) is one of the leading plot promoters in Trichy offering plots for sale in and around Trichy for residential, commercial and industrial lands at affordable prices. When you call, please mention that you found my contact info on TrichyProperty.in website! Keerthana Garden - Puluderi Village, Kulithalai Taluk, Karur District. Suitable for Residential purposes with Patta Plot, Clear Title. Good water facility, Land also suitable for Investment purpose with good location.